After active involvement in theater performance and modern art, he opened “6%DOKIDOKI”, a shop with the concept of “Sensational Kawaii” in Harajuku in 1995. Through the world tour titled “Harajuku Kawaii Experience,” which started in 2009, he has been working to spread Harajuku culture on a global scale. 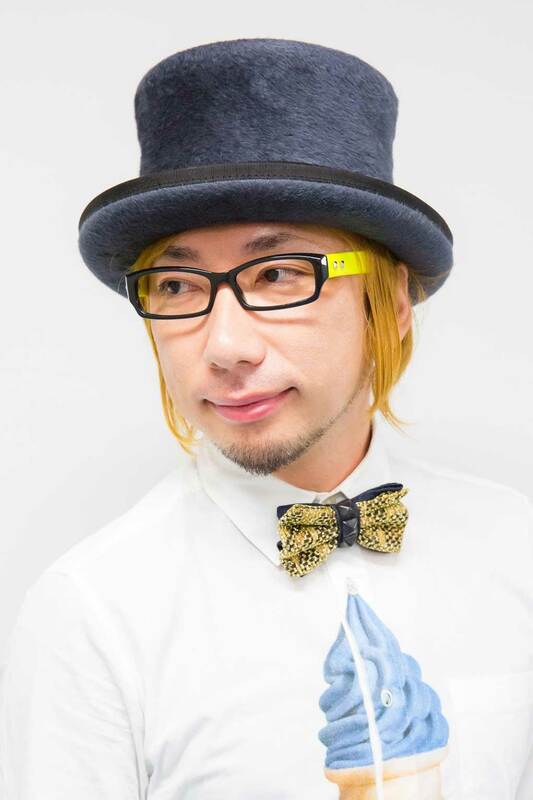 He gained worldwide attention for his PV production for “PONPONPON,” a debut single by Japanese pop icon “Kyary Pamyu Pamyu.” He has been active as an artist and art director, contextualizing Harajuku Kawaii Culture, for example, by producing a concept restaurant “KAWAII MONSTER CAFÉ.” His first solo exhibition “Colorful Rebellion – Seventh Nightmare -” was held in New York in 2014. He is working now to launch a participatory art project “Time After Time Capsule” in 10 cities around the world in 2020.